We adore cinnamon rolls around here. 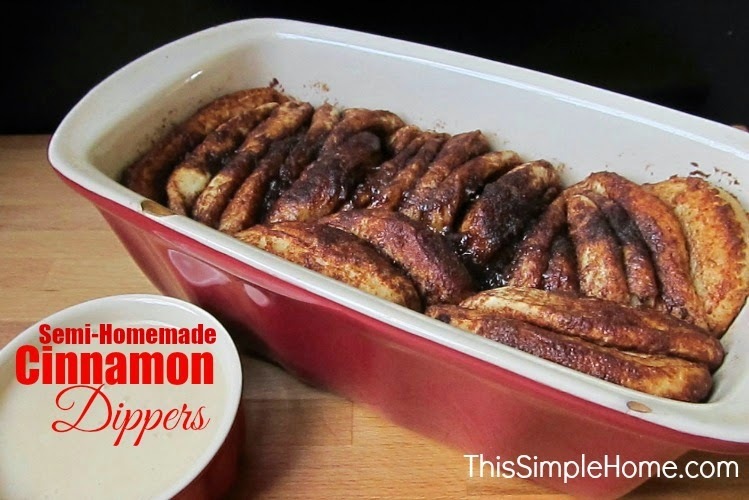 We have our favorite cinnamon roll recipe, but when my mother-in-law shared this easy cinnamon slicers recipe using Rhodes frozen bread dough, I knew I had to try it. In fact, we've had it three times now. This last time I adapted the recipe a bit for our own preferences. 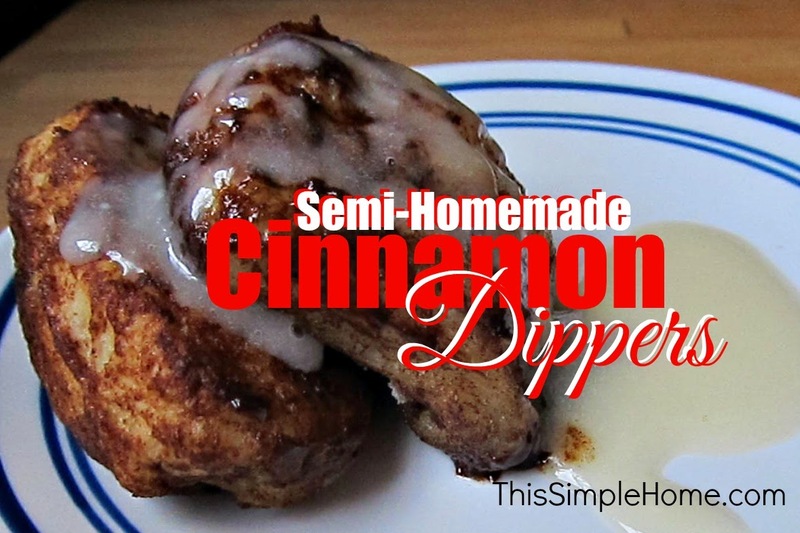 I really like that the cinnamon dippers are semi-homemade. Frozen bread dough makes it quite easy. 1. Prepare loaf pan with butter or cooking spray. 3. Place loaf pan on it's short side to stand it up. 4. Mix sugars and cinnamon well. 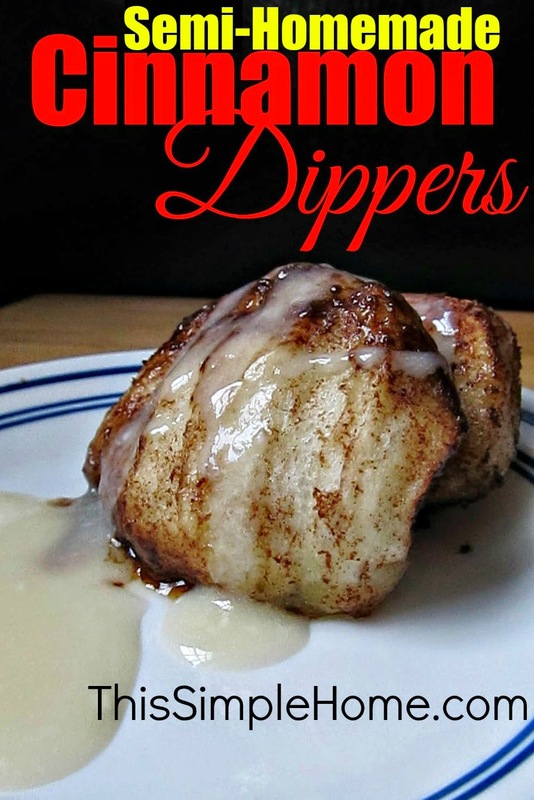 Dip each piece of dough into the melted butter and then the cinnamon sugar mixture. 5. Place each dough piece in the pan, forming a new loaf. If you have pieces that don't fit like a loaf, place them on the side of the pan. 6. Cover with plastic wrap. Let rise for about 2+ hours. Dough will double in size. 7. Remove plastic wrap. Bake at 350° for 20-25 minutes. 8. Allow to cool for at least 10 minutes. 9. Combine glaze ingredients. Drizzle over the cinnamon dippers or serve on the side with the warm cinnamon dippers. This makes a satisfying and easy sweet treat or dessert. I'm thinking I'll take it to a ladies' breakfast. It would also be great for Christmas morning. My daughter thinks I should make it more often. If you are looking for an oohey-gooey homemade cinnamon roll recipe, do try ours. It's a keeper. If you prefer to bake everything from scratch, try my 20-minute bread dough for this recipe. Try this simple trick for cutting bread dough. Warning taken! These look quite yummy. We do the same thing with canned biscuits, only I learned it as Monkey Bread. I used to do that, too, Ticia. I think these are a lot better because of the frozen (vs. canned) dough. But yes...same concept!